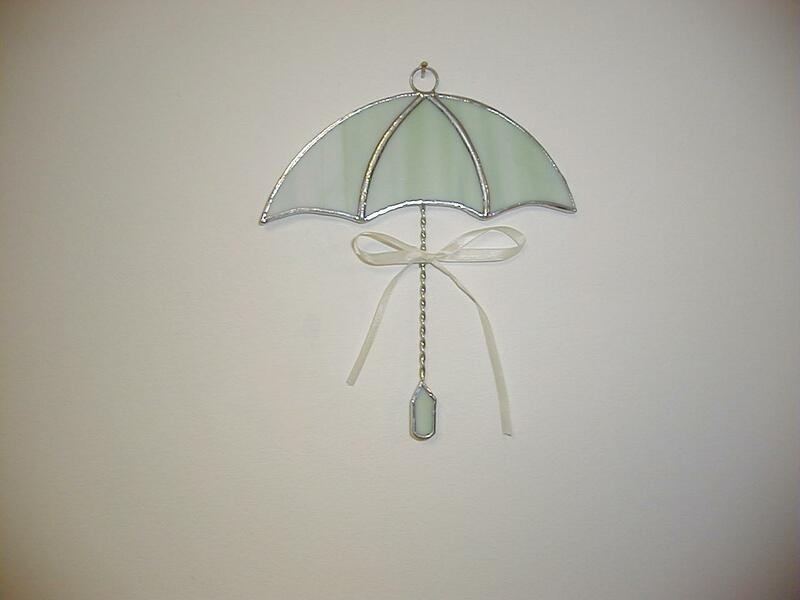 Stained Glass Green Umbrella. Approx. 6 1/2"x 5 1/2". A beautiful pastel green wispy glass with matching handle.A twisted wire 'pole' and a pretty cream colored fabric ribbon attached. These are cute as shower gifts or tied on to wrapped shower gift packages !